Laos is a destination that takes back time. On a tour to Laos experience and see ancient traditions and cultures that in many countries would have thought to have become obsolete. A Tailor made or group tour to Laos is a truly remarkable experience never to be forgotten. Laos is a place not to be missed if you are after culture, adventure or have a passion for mountains, rivers and the countryside. A retreat for those seeking to relax yet a tailor-made itinerary could include the UNESCO World Heritage town of Luang Prabang, a boat cruise on the Mekong River, or for those with more time visit the hilltribe villages near the Chinese Border. Why not tailor a tour to include Southern Laos, boasting stunning waterfalls, coffee and tea plantations on the Bolaven Plateau, the pre-Angkor Temple of Wat Phu, or the 4000 Islands known locally as Si Pan Don. 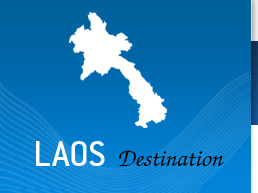 You may find a tailor made tour to Laos would go well with a tour to Cambodia or a whole Indochina tour. For those who are looking for a group tour we also have some escorted departure dates. So please get in touch for a tour designed by experts with years of personal experience in the area.